Klockner Moeller - accessories for DILM7, DILM9 and DILM12. RC Suppressors for AC coils. 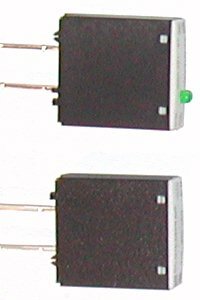 Varistor Suppressors for AC coils. Varistor Suppressors with LED, for AC coils. Voltage Indicator LEDs for AC coils.